Come winter and the salt plains in the Rann of Kutch transform into a stunning white desert. 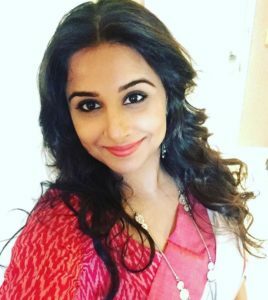 That will also be the time when the Rann will play host to Bollywood star Vidya Balan who will visit the desert to witness one of Gujarat’s most popular festivals, the Rann Utsav, as Rann Ki Sulu. On November 4, Vidya will visit the Rann during the pre-release promotion of her keenly awaited movie, Tumhari Sulu. The Rann Utsav is one of the most enchanting festivals organised by Gujarat Tourism and it gives tourists a fitting glimpse into the warm hospitality and excellent cuisines of the state. It is also a classic example of the huge efforts Gujarat Tourism is taking to put the state on the national and global tourist map. The organisation conducts various events including exquisite fairs and festivals to give tourists a glimpse of the rich culture and traditions of the state. It has also been making efforts to augment the tourist infrastructure, enhance the tourism industry and undertake innovative and sustainable approaches to provide an enriching tourist experience. With its diverse locations including spectacular geographical, archaeological and royal sites, Gujarat is also a dream location for filmmakers and an ideal destination for Cinematic Tourism. Its rich choices of locations, efficient infrastructure, easy clearings and cost-effectiveness make film making in Gujarat a catalyst for very successful films. The Gujarat government, has, by resolution, ensured prompt and adequate facilities to producers who want to shoot TV serials, documentaries, ad films and feature films in Gujarat. These privileges provide producers an incentive to shoot in the famed, unexplored locations in the state. Gujarat has received the National Award for “Best Film Promotion Friendly State” for the years 2013-14 and 2014-15. Tumhari Sulu is T-Series and Ellipsis Entertainment’s family film that stars Vidya in the lead and has been directed by noted ad filmmaker Suresh Triveni. The actor plays Sulochana (a.k.a. Sulu), a happy and enterprising housewife whose life changes after she unexpectedly lands herself the job of a night RJ (radio jockey) on a popular radio station. The comedy-drama, whose trailer bagged an overwhelming response, releases worldwide on November 17. Tumhari Sulu comes from the producers of super-hits like Neerja and Hindi Medium. Vidya has been keen to visit the picturesque desert during the beautiful festival and is looking forward to the experience. On November 4, the full-moon night, Vidya will witness the vibrant bazaars and the array of activities including music, dance performances, parasailing, kite flying and night-time camel safaris at the Rann Utsav. She will also interact with the locals and is expected to perform the traditional garba besides relishing Gujarat’s famed cuisine. The annual festival is known to bring a burst of colour to the barren land in the form of bedecked camels, colourful costumes and shimmering lights. Organised annually by Gujarat Tourism, the Rann Utsav has been scaling popularity charts among Indian and foreign travellers in the last few years. A celebration of life, festivities and culture of Gujarat, Rann Utsav is one of the biggest festivals that the state hosts. Each year, Gujarat Tourism leaves no stone unturned to give tourists an exclusive opportunity to witness the creative ingenuity of the artisans and craftspeople, assorted array of folk music and performances, mixed representation of culture and communities, along with a vast diversity in ecology. This year, the festival begins on November 1 and will continue till mid-February, and will be held across a sprawling hub in the Dhordo village. 19 queries in 0.491 seconds.